Hop along to Blog Hop Saturday!! We’re participating in this Saturday’s Pet Blog Hop, hosted by Life With Dogs, Two Little Cavaliers and Confessions of the Plume. If you’d like to participate, please follow the rules and follow your three hosts, add your blog to the Linky and copy and paste the html code into your html editor. Thanks again to our hosts for putting on the hop! 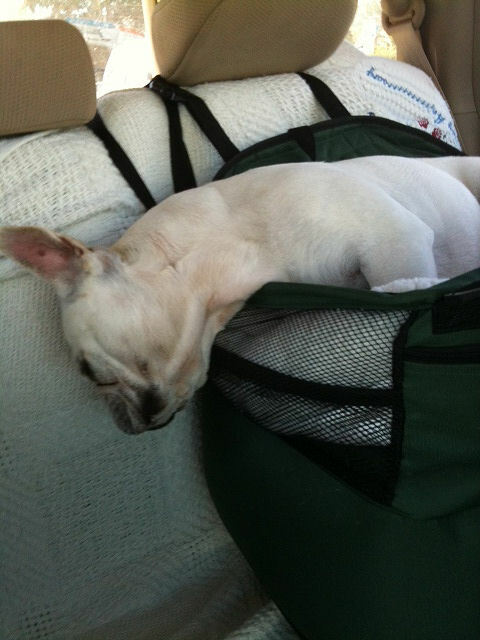 doggie car seats are the best! i love chewing on my car seat seatbelt and also taking dog naps! We love you bunches, Benny and Lily. Benny it looks like yer momma needs to get another car seat for yer head!!!! ahahahahahaha we cracks us up!!! Benny, we like to hang our heads when we snooze too -good head rush:) HOpe you two got to go somewhere fun. Car rides do rock, as long as you aren't going to the groomer. :) Have fun!! Benny, that looks like a super (un)comfortable position! 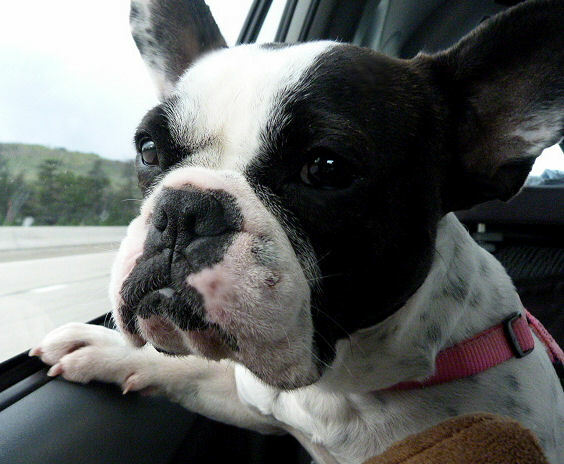 Lily, you look beautiful looking out the window! We hope you two got to go somewhere fun! You sure do get sleepy on car rides Benny! Lily is just like me, I likes to know where we is goin! The boys are crazy about car rides too. I never was. I'd howl my head off in the car. I hopped on and can't git off!!!! Whahooooooo! It looks like you got to go on an adventure! I love car rides too and I just joined in on the blog hop!! Can't believe you sleep in the car.....there's so much to see. I have to hang out the window to see everything. We love car rides too! It usually means good stuff will happen! Careful you dont fall out of your carseat? You guys are so adorable in your car seats! They look extra cozy, but I could never sleep in the car. Aren't youbfascinated by the world quizzing by? Yup! Car rides ROCK big time!!!! You know how to enjoy those car rides! Benny snoozes, Lily watches! these dogs couldn't get any cuter if they wanted to! adorable. You're so right! Car rides DO rock!